Status: One location built. Six more pending construction. 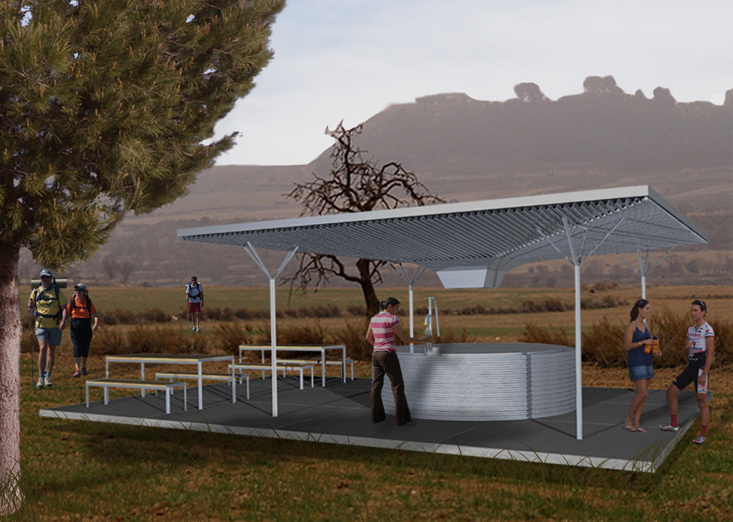 We were commissioned to generate a basic services’ infrastructure proposal for the “Ruta del peregrino”. This yearly pilgrimage from Ameca to Talpa de Allende in Jalisco state in Mexico extends over 113.3 km. It starts in the Municipality of Ameca, passing by the municipalities of Guachinango, Mixtlan, Atenguillo and Mascota, finishing in Talpa de Allende. Every year, during holy week, close to 2 million people cross this route, near Guadalajara. 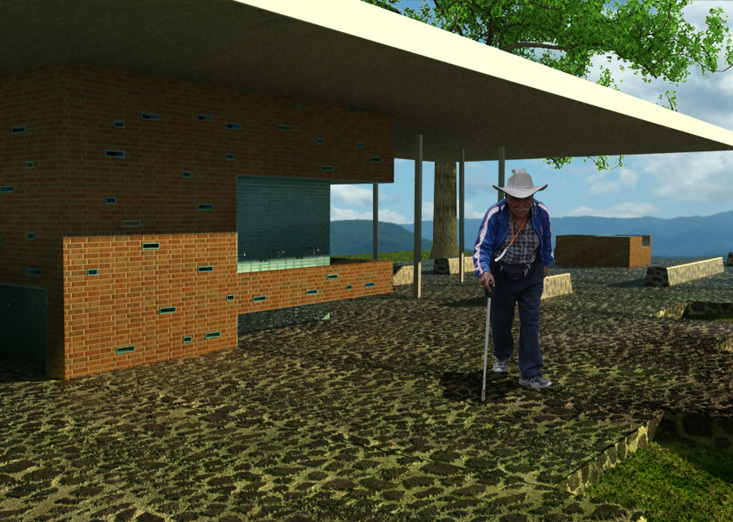 The Jalisco municipalities invited a group of international architects and designers to bring suitable infrastructure for the route and the local communities. 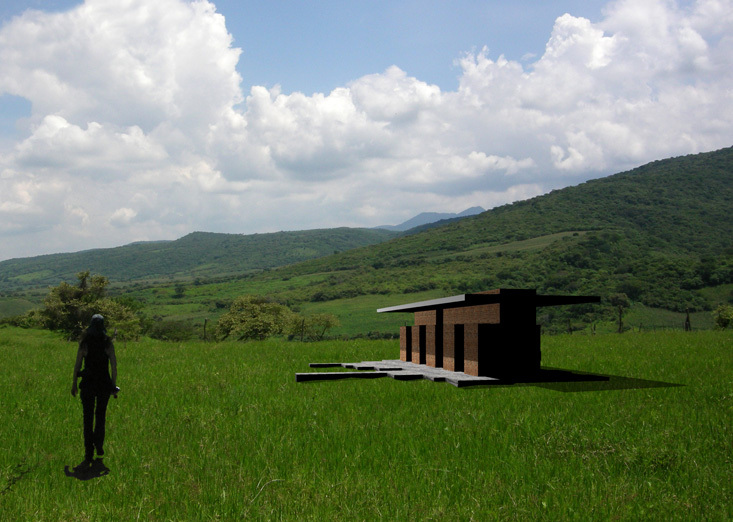 Contributors include: Ai Wei Wei studio, Luis Aldrete, Christ & Gantenbein, Dellekamp Arquitec- tos, Elemental, Godoylab / Emiliano Godoy, HHF Architects, Omar Orlaineta, Periférica, Tatiana Bilbao|max, and TOA taller. 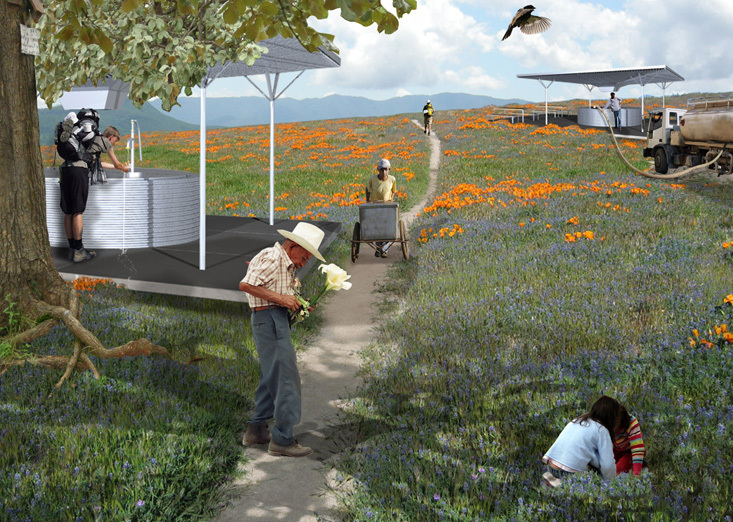 Due to the length of the trail, the varying conditions from one point or town to the next and the differences in terrain, the project for the service areas was proposed as an oasis that maintains green foliage and gives a sensation of abundance, even though the surrounding environment is arid and dry during most of the year. With an open and democratic character, affording everyone a place to sit and rest, the pilgrims are offered temporary shelter and rest from the sun and the heat. We generated an initial proposal which focused on the water shortage suffered during and after the pilgrimage, by both the pilgrims and the local communities. 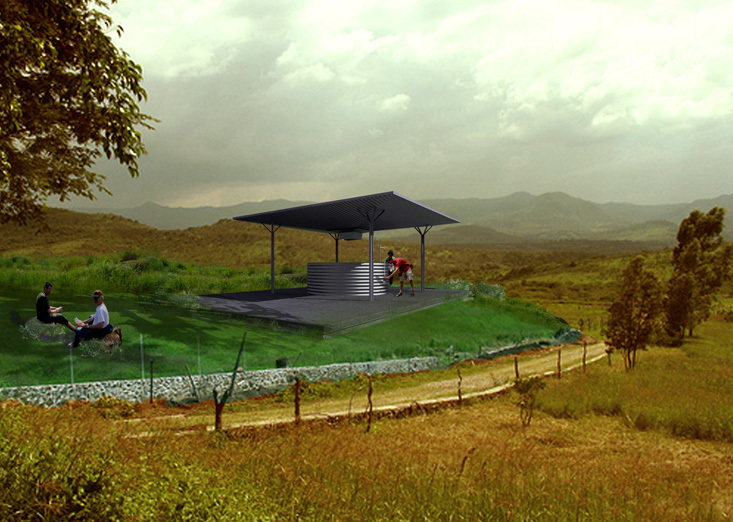 This proposal relied on the construction of prefabricated modules which would be placed in several locations along the route, shortening the distance between water sources. 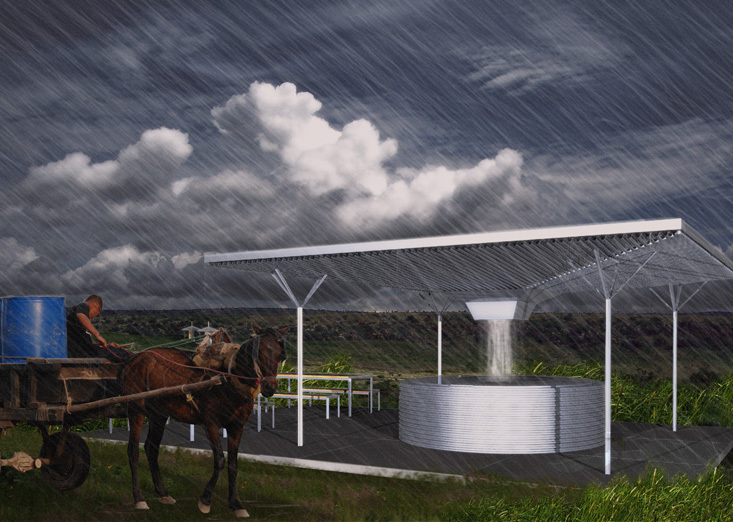 These modules would also serve the rest of the year as rainwater collection stations that would benefit local communities. Although a proptotype was built –with terrible quality– the commitment to install the prefabricated modules along the route did not came through. 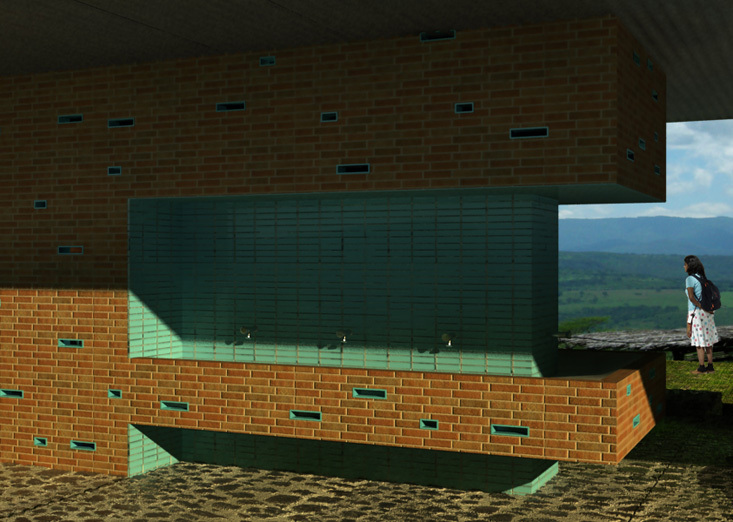 We decided to generate a new project that dealt with fewer locations and addressed the water issue in those places but also other needs such as restrooms, cooking stations and shadowed resting areas.